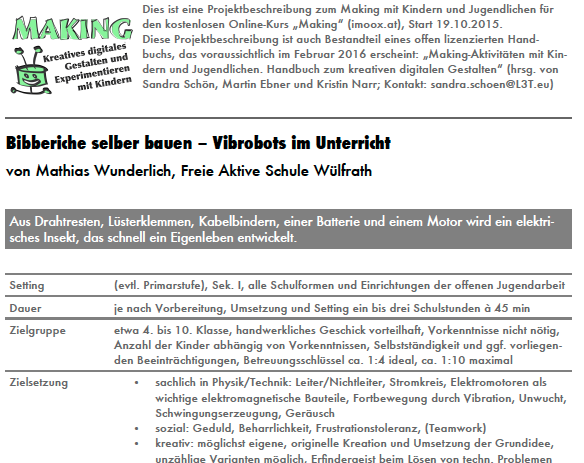 Our article about „The Maker Movement. 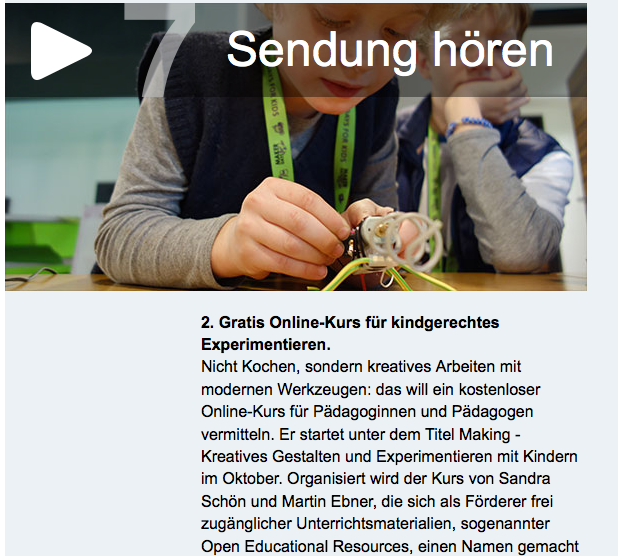 Implications of new digital gadgets, fabrication tools and spaces for creative learning and teaching“ got republished in the Special Issue „Transforming Education through Innovation and Technology“ of the elearning papers. The “Maker Movement” deals with innovative forms of production and do-it-yourself work. It is not only a way for new business models and developments, e.g. 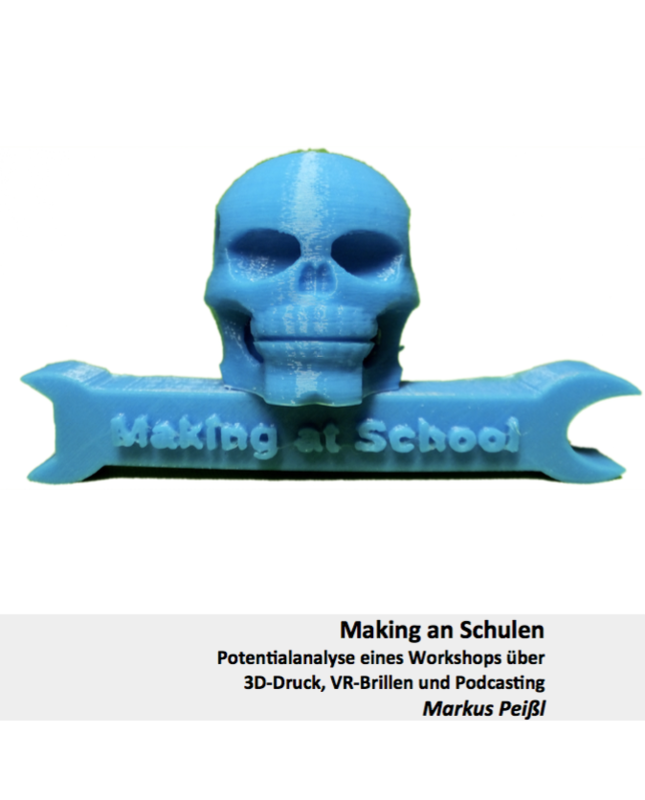 using 3D print or other new digital tools and gizmos, but also influencing education. This paper introduces several diverse terms (from FabLabs to Hackerspaces) and gives insights into background, practice and existing experiences from Maker Movement in educational settings amongst all age groups. As a conclusion, the authors present reasons why practitioners and researcher should consider its educational potential. Besides its creative and technological impacts, learning by making is an important component of problem- solving and relating educational content to the real world. Besides this, digital tools for making are not expensive, for example apps for mobile devices or rents for 3D printer (compared with desktops in 1:1 settings). The Maker Movement is seen as an inspiring and creative way to deal with our world, it is aware of ecological challenges and of course, and it is able to develop technological interest and competences casually. Finally, the authors give recommendation for reading for all who got interested in making.